Many spirit companies have affinity programs that give benefits to their most loyal customers. Maker’s Mark has their Ambassadors program which often sends out goodies during Christmas and has an annual get together at its distillery. Laphroaig has its Friends of Laphroaig which gives you a plot of land in Islay and access to special bottlings and events. Ardbeg has the Ardbeg Committee which features Ardbeg Day (typically around June 1st) with celebratory events around the world and an annual special release of Ardbeg. The Ardbeg Committee releases have featured some of the very best spirits produced by Ardbeg and is often a testing ground for new special products that sometimes get a wider release. One of the most notable Ardbeg Committee releases came two years ago with Ardbeg Alligator. Ardbeg Alligator took Ardbeg whisky in a new direction, using new heavily charred American Oak casks instead of ex-bourbon and ex-sherry casks (read our review of Ardbeg Alligator). Arbeg ultimately released Ardbeg Alligator beyond the Committee as a limited release, but not all Committee releases get a wide release – last year’s Ardbeg Day whisky was never released beyond the Committee. This year’s special Ardbeg Committee release is called Ardbog, a whisky that celebrates the plethora of peat bogs that cover a large amount of Islay, Scotland. Ardbog is aged the same length as Ardbeg’s main 10 year offering and is a combination of whisky from American oak ex-bourbon barrels and ex-Spanish Manzanilla sherry butts. One of the things that really gives Ardbeg its signature character is its wood program. While many other distilleries put grain whisky in their barrels for a few years to season them and reduce the impact from the bourbon, Ardbeg puts their spirit straight into the ex-bourbon casks. After ten years, the impact of the American and sherry oak casks is much more pronounced than with many other single malts. 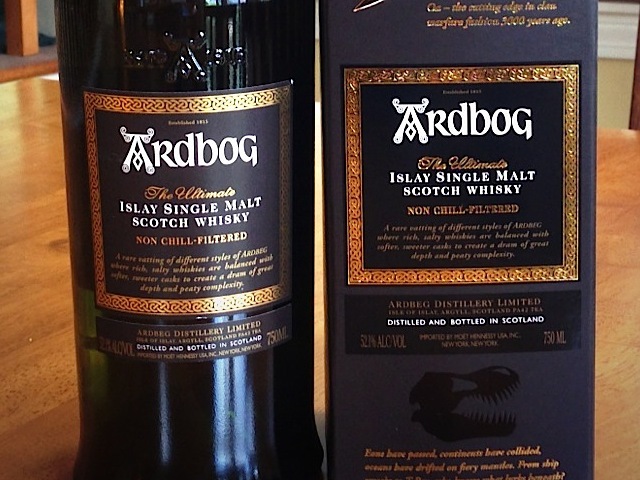 Ardbog (52.1% ABV / 104.2 proof, $120) – dark amber in color, the impact from the Manzanilla sherry casks is clear. The nose of Ardbog smells peatier than the classic Ardbeg 10, but it’s nowhere near the level of say, a Laphroaig. One of the things we adore about Ardbeg is not how peaty it is, but how well it presents and balances that peat. Ardbeg 10 is sweet, salty, and smoky all in equal parts. With Ardbog, in addition to the traditional smoky peat elements, we also get a sense of fresh, wet, earthy peat on the nose. It reminds us of the salty, earthy smell on Islay after it rains. This peat is accompanied by sweet fruit from the Manzanilla sherry, which is well integrated with the peat. Because of the higher ABV, the nose on Ardbog is stronger than with Ardbeg 10, but it lacks the complexity of some of Ardbeg’s other special releases. While earthy peat is one of the core elements in the nose, it’s actually the smoky peat which leads the entry. As with Ardbeg 10, the peat is very well balanced with the fruity sherry notes as well as a soft salinity. In addition to the sweet and smoke, Ardbog has a fantastic spice note of oak and clove. The flavors of Ardbog are beautifully layered, with sweet, creamy caramel as a base note; soft fruit, oak, and clove spice in the middle; and then smoky peat as a top note. While Ardbog is peaty, its balance and restraint make it much more approachable than Ardbeg Alligator and put in solidly in line with Ardbeg Galileo, albeit much more peaty. The finish of Arbog is exceptionally solid, carrying forward most of the flavors from the whisky that linger for a long time on the palate in the most pleasant of ways. Even for whisky lovers who like their whisky at high proof, we really recommend putting a few drops of water into your glass of Ardbog. 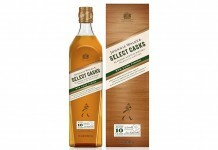 It helps enhance the creamier elements of the whisky and gives it a slightly better balance. We’ve been consistently impressed by Ardbeg’s special releases and Ardbog is no exception. 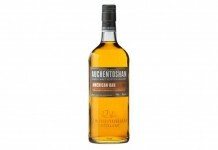 It manages to be a clearly Ardbegian expression of whisky while managing to have unique character and flavor combinations. Ardbog does a nice job of celebrating Ardbeg’s peaty core while maintaing the balance of flavors that Ardbeg is known for. At 10 years old, the price tag for Ardbog feels a bit steep, but it’s well in line with the price creep we’ve been seeing in the whisky space (especially with Islay whisky). Ardbog isn’t the relevation that Ardbeg Alligator was, nor is it the light’s out home run that Nam Beist, Supernova, or Rollercoaster were, but it’s an exceptionally enjoyable release that will surely please the majority of Ardbeg fans.